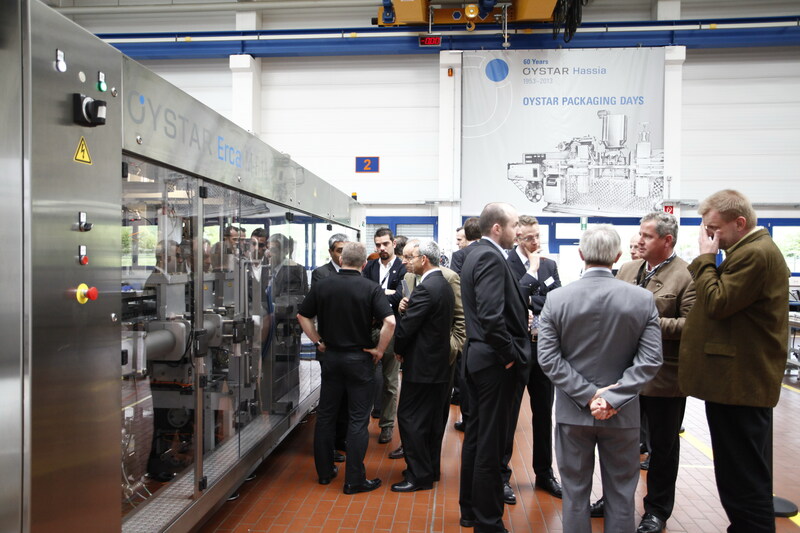 From a FFS machine with the unique steam sterilizer aseptic system and a FS machine with a patented chainless drive concept to a newly developed butter packer, the OYSTAR Group presents its latest product innovations for the dairy and food industries at the upcoming OYSTAR Packaging Days. Ranstadt, May 15, 2013. One example is OYSTAR Hassia’s new TAS 32/80, an aseptic form-fill-seal (FFS) machine that uses only culinary steam to sterilize the bottom web and lid material. This steam aseptic system guarantees germ reduction of >log4,5 which means no more than one non-sterile cup in 100,000. OYSTAR Hassia is the only supplier offering FFS machines for cups with this aseptic system. The TAS 32/80 handles polypropylene (PP) foils for cups and has an output of up to 53,000 cups/h. OYSTAR Hassia will also exhibit its flexible-use THL 24/28. This FFS machine produces mini-portion cups of 10, 25 or 35 grams in three different depths. By using a multi-punching tool, it can handle single cups, double cups and quartett units. It is useful for filling a variety of product from butter and cream cheese, to honey, jam, ketchup and mayonnaise, through to chocolate spreads. The THL 24/28 has an hourly output of approximately 33,600 cups. With its THM 32/48, OYSTAR Hassia will further introduce an FFS machine that can fill and seal up to 40,000 yoghurt cups/h while applying a wraparound label inline.The aseptic SAS 20/30 vertical FFS machine forms mini pouches and produces three-side-sealed StickPacks. It packages pasty and liquid products with a dosing range of 6 to 22 ml with an hourly output of 36,000 StickPacks. OYSTAR A+F will exhibit its innovative A+F CompactLine butter packer at the OYSTAR Packaging Days. The machine processes up to 150 packets of butter per minute into wrap-around cartons. Format kits ensure the safe and easy changeover to other formats. It can handle single and double row pack formats in different layer heights. Due to its modular construction, user friendliness and short installation times, the butter packer is an ideal entry-level machine for automated packaging. The A+F CompactLine can be connected to the Multipack 3000 by OYSTAR Benhil and other wrapping machines in the mid-range performance class. The Multipack 3000 will also be on display. It is the world’s most flexible wrapping machine for pasty products with an output of up to 100 packages per minute and capable of handling formats between 50 and 1000 grams. OYSTAR Hamba will take advantage of this in-house exhibition to present its new BK MultiFormat chainless drive concept. The BK MultiFormat can be used in new machines and retrofitted into older ones, increasing the availability of either. Another advantage is the reduced need for maintenance and changeover manpower. A single person can handle a cell board change without tools in less than 15 minutes. This makes it profitable to produce small batches on the system. The new concept also means short reaction times to future product innovations. The BK MultiFormat needs no lubricant and is thus ideal for use in hygienic production. OYSTAR Hamba will also exhibit its aseptic fill and seal machine for preformed cups. The FS machine can fill cups of different heights without needing to change formats. The cups and lid foils drawn from rolls are decontaminated with peroxide. 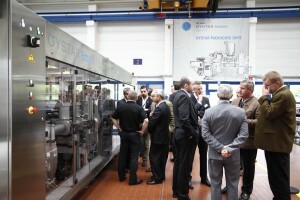 There will also be an FFS machine from OYSTAR Erca on view. Compliant with 3A standards, the compact M-F 14 is a space-saving machine designed to produce up to 14,000 cups/h. It can fill a broad range of products, from yogurts over different consistencies to desserts, from pudding to juices and water. This form-fill-seal machine is also attractive for its user friendliness. To top it all off, OYSTAR Packaging Days will exhibit the TEOS HMI system. Winner of the red dot award and the if design award gold, this HMI now features an integrated service concept for tablets. Every machine made by the OYSTAR Group is equipped with this panel. This means that all of our machines are operating with uniform hardware and software so our customers only need to learn a single navigation concept, no matter which OYSTAR machine they produce with.